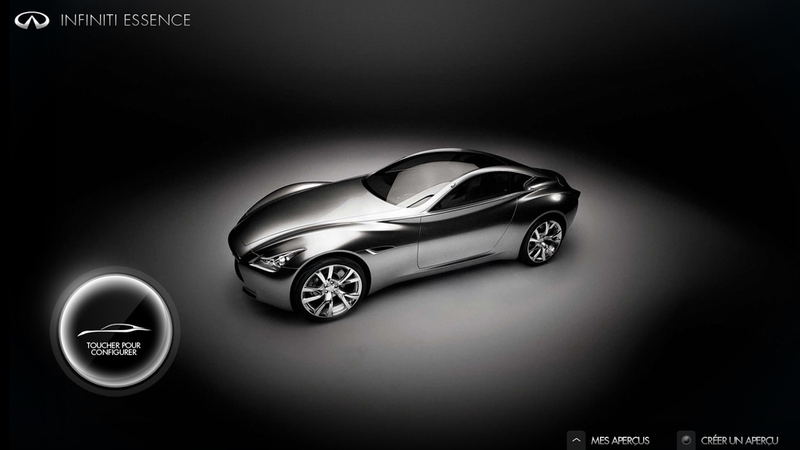 ───── Explore a multi-touch experience inside the Infiniti showroom. We created an intuitive interface on a double touch display. The interaction structure is minimal with all configuration items available in only one interactive element. Users find car options via the circle remote and can directly control car views with swipe and touch gestures. Each car element on a single interface. The selection appears on both screens instantly. Nothing more.